Google Tag Manager (GTM) is a powerful tool for marketers and developers that will take your reporting to the next level. Google Analytics offers a ton of options for tracking your website’s performance. Adding basic page tracking is fairly simple, even for a non-technical person. Going beyond that and getting into the granular data of how a user actually interacts with a page can require much more technical knowledge. The good news is that Google knows not everyone that will be managing analytics will have such a deep knowledge. Google Tag Manager (GTM) was made just for such a situation. While event tracking can be done without GTM, GTM is a very convenient way to set it up and has tools to build most events without using code. With the basic page level tracking you only get data based on pageviews. However, it doesn’t include information about what the visitor actually did on the page. Event tracking allows you to essentially track any interaction a user has with the page. This type of tracking is necessary on dynamic pages where multiple actions can be taken without ever changing URL. 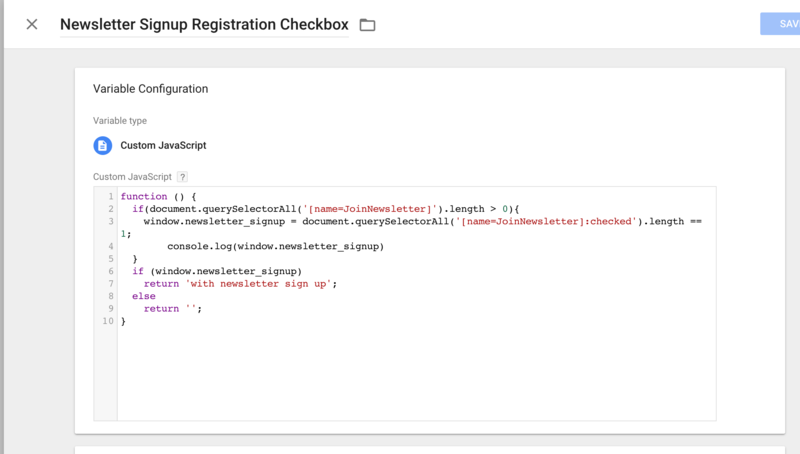 To use event tracking, variables, triggers, and tags are created in GTM. Variables allow you define a custom bit of text, number, or code. This can be appended with ‘with newsletter signup’ when the newsletter checkbox is enabled. With these events, we can track all of the registration steps inside the page. Although a few could be tracked with basic analytics, making them events will help our reporting down the road. With all of this in place, we can do a few nice things in Google Analytics. We can count registrations and payments based on a date range. Or we could compare events such as the user watching shows vs editing profile at the end of the process. Also, the events flow report allows you to see what order events are being triggered in, and at what points users are dropping off. 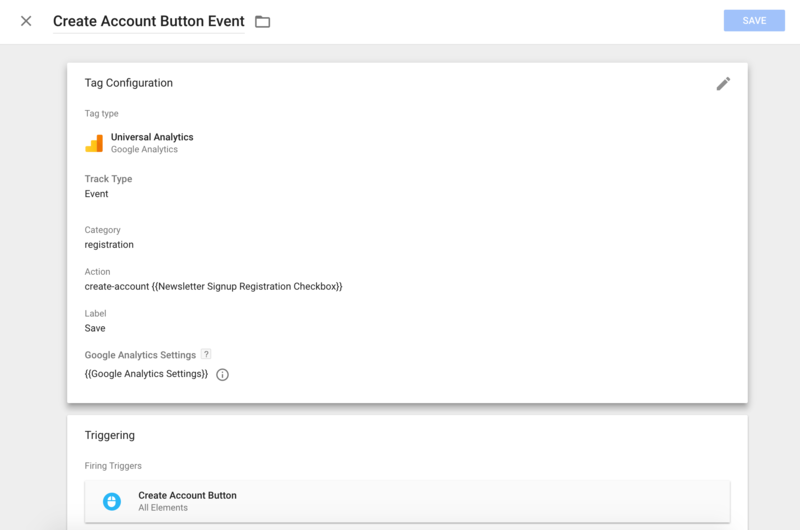 Google Analytics also has the option to set goals and monitor them based on events. (In our example, we could have goals for account signup and payment submission). Google Tag Manager allows for all of this tracking to be done with very minimal coding. Now the hard part is finding what events you want to track! Training is readily available, so there is really no reason not to incorporate Google Tag Manager into your site today. Need assistance with GTM setup or analytics analysis?